Massive Bitcoin Exchanged Robbed and Destroyed - What Next? Massive Bitcoin Exchanged Robbed and Destroyed – What Next? 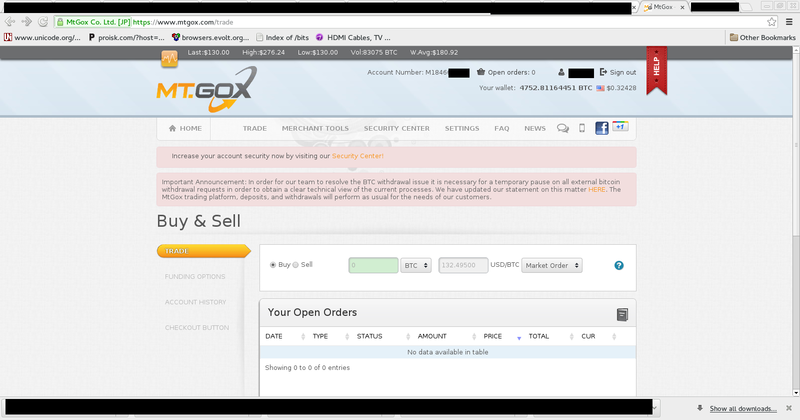 Today we learned that Mt.Gox, one of the biggest bitcoin exchanges in the world, has gone dark. Strong rumors support the idea that Mt.Gox was robbed of 744,000 customer Bitcoins, worth some $300 million, and worth nearly a billion dollars a few months ago. Mt.Gox users have taken to the web to bemoan their lost millions (people actually lost millions of dollars), but Mt.Gox is nearly silent. All that remains of the once-great exchange, is a short apology letter on their home page. So, what next? Is this Mt.Gox heist the end of Bitcoin? Well, it depends. Here’s why I think Bitcoin is most likely going to die (a slow, painful death). What’s Going To Happen To Bitcoin? Although the rumors of the heist are well-supported, they’re not definite. There’s a chance that whatever damage was done has been exaggerated or that somehow they might be able to undo some of the damage, but this situation basically means the end of Mt.Gox as a go-to exchange. It also means that there’s going to be a huge security panic at every Bitcoin-managing institution. Dozens of companies are certainly happy to fill the role that Mt.Gox left open, and now there’s going to be a race to become the new de-facto exchange. One prominent new exchange has even signed on large institutions and banks as traders. Still, this theft has eroded confidence in the system. After Bitcoin peaked late last year (at nearly $1200 a piece), it’s been on a steady decline, fueled by a series of high-profile thefts, and government interventions. Prominent investors (like Peter Thiel) are questioning its value, and its legality, and with each major theft, it looks more and more vulnerable to theft. Below is a typical model of adoption. Bitcoin is right in the middle of “The Chasm”, as it’s referred to, between the really early adopters, and the sort-of early adopters. If a technology doesn’t get over “The Chasm”, it’s dead. Unfortunately, Bitcoin no longer has the momentum to get over “The Chasm”. Unlike a typical tech product, the benefit of Bitcoin is the value itself. Early adopters came in to speculate and capitalize on its vulnerability, but now it’s looking like an unstable train wreck, and very few people are willing to invest their money in a train wreck. The main selling point of Bitcoin was that it was safe and anti-inflationary, meaning that it should be gaining in value over time. But if prices keep sinking, nobody will attach value to the coins, and their value will steadily decrease, and with the major thefts recently, there’s very little confidence even in the safety of them. Even prominent Bitcoin proponents are selling their holdings. Some say it’s a storm which Bitcoin will weather, but I thoroughly believe that this latest theft means the end of Bitcoin. Is Bitcoin going to die, or thrive? What do you think? Leave a comment on this article to let the world know.